← Win a paperback copy of Vantastic France. A quick thank you to all of you who took part in the Blog Hop. I have had lots of great comments and a record day for visits to my blog. I know you are all waiting to hear who won a copy of Vantastic France which will be posted to the winner. All the names were put in to a hat and a winner picked out. A Londoner who worked in the City for 30 years, Janine was a journalist and project manager in private wealth management. She has a website called ‘The Good Life France’ with her partner Mark, who is also from London and he has had a variety of jobs following several years as a Policeman in Kent. He is a qualified financial adviser and mortgage broker and has worked as a builder and decorator. Now the weird thing is that I have a sister called Janine and a brother called Mark, obviously that did not sway the competition for them as I have just found the information on their very informative website. 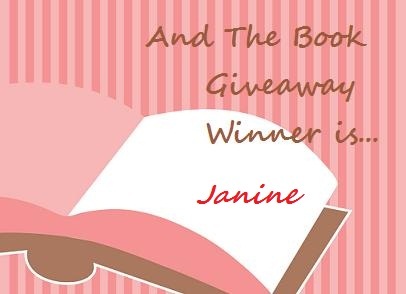 Congratulations to Janine, I do hope you enjoy my light hearted little novel and that I might even get another review on Amazon! This entry was posted in Competitions and tagged Amazon, Amazon Kindle, Amazon.com, France, Twitter, Vantastic France. Bookmark the permalink. Ooh how wonderful! I’ve been varnishing the beams in the spare room AKA “Ma Bates’ room” which is not the nicest of jobs so this is a lovely surprise – thanks Steve, I can’t wait to read it! From one happy blogger to another! I have emailed you for your address Janine, well done. Thanks so much for taking part in the hop, Steve. I’m delighted that you got plenty of visitors. There was a really great atmosphere amongst all the hoppers so I’m pretty sure there’ll be another hop soon. Isn’t that a coincidence about Janine and Mark? We had a family stay at our gite – the parents were Jonathan and Hilary (my brother’s and sister’s names) and a daughter called Stephanie – like me! Small world! Thanks for getting it off the ground Steph, it was great fun.